This weekend HBO will be airing a documentary entitled “Leaving Neverland” which will delve into a topic of Michael Jackson molesting children according to Wade Robson and Wayne Safechuck. 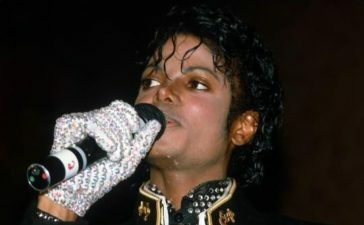 The two men claim the “King Of Pop” molested them for several years as children. The film originally aired at the Sundance Film Festival. Now the controversy surrounding this film is that MJ is not here to defend himself and that Wade Robson and Wayne Safechuck denied Michael Jackson sexually abused them when he was alive originally. Oprah Winfrey who has admitted to having been sexually abused and did a special about it with Tyler Perry and 200 men came together on a round table to discuss it in 2009 on her OWN network. Winfrey will now be repeating the process this Sunday. In 1992, Oprah Winfrey interviewed the legendary artist at Neverland Ranch to monstrous ratings. The OWN network and HBO team up on March 3 as Oprah Winfrey will interview Wade Robson and Wayne Safechuck. The show will be directed by Dan Reed and will “before an audience of survivors of sexual abuse and others whose lives have been impacted by it,” according to HBO and Winfrey’s OWN network (CNN and HBO share parent company WarnerMedia.). The Jacksons of course have come out to proclaim Michael Jackson’s innocent of the claims since he is not here to defend the allegations. Taj and Marlon Jackson had a phone call interview with The Breakfast Club and believe the two men making the allegations are doing it for money by getting clout through this documentary. Taj thinks HBO is doing it for ratings and to compete against Netflix. Charlamagne brought up the point that Robson and Safechuck have perjured themselves if what they are now claiming is true. In 2005, during court procedures they denied Michael Jackson was guilty of any wrongdoing. Taj states that the statute of limitations may prevent the family from charging the two men. You can watch the interview below. The Jacksons also went on Access to defend Michael Jackson. Apple TV’s New Streaming Service Launches This Fall.